Norway lobster (Nephrops norvegicus) from Gullmarn fjord on Sweden's west coast. A scene from a dark mud slope at a depth of 30 metres. 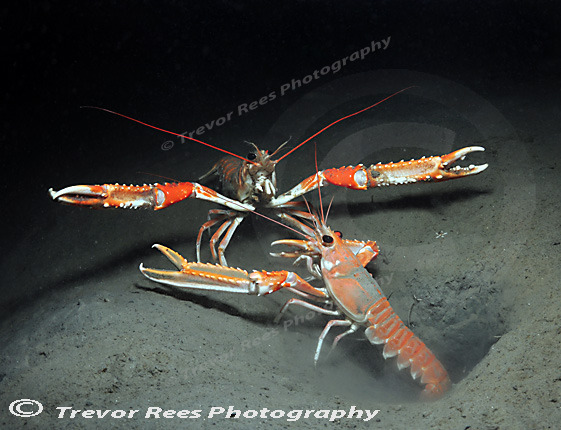 One lobster emerges from its hole in the mud slope - perhaps fighting off an unwelcome visitor. Voted a winning image at both BUPG and BSoUP photographic group competitions.